The York Medical Spa, located near Stonybrook, Pa, offers the residents a way to dramatically improve their confidence, finally get rid of that old tattoo, remove unwanted varicose veins without surgery and much more! We’re your source for skin care and anti-aging near Stonybrook, Pa! What does Floyd Mayweather, LeBron James, and Shaquille O’Neal all have in common? They are all-star performers and they’re always looking to get an advantage over their competition. They also ALL believe in the benefits of cryotherapy! If you follow our blog then you know we’ve tried looking for a cure for aging and couldn’t find one. Unfortunately, we’re all going to get older. However, we don’t all have to LOOK older. 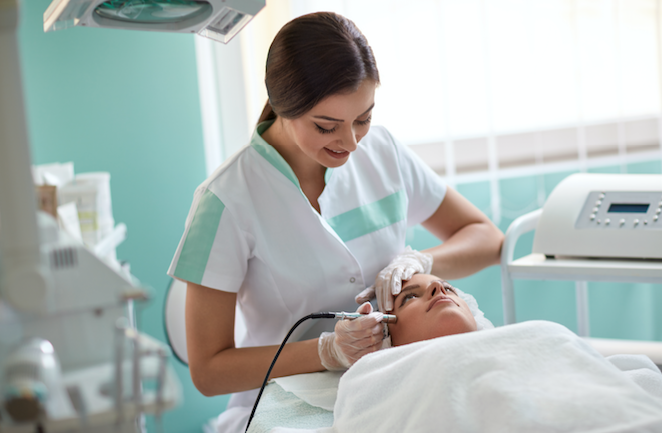 The York Medical Spa near Stonybrook, Pa offers a variety of anti-aging and skin care treatments that help people look younger or stay looking young. Laser treatments offer a solution to treat numerous skin conditions without surgery, long recovery periods and medications. Many people’s careers are on hold because they have tattoos that are holding them back. Learn about our laser tattoo removal. While varicose veins and spider veins are rarely painful or harmful they are not the most pleasing on the eyes. Call to learn about non-surgical laser vein treatments. Acne and scars are conditions that haunt us and follow us through life. If you’re looking for smoother skin and fewer blemishes then call the York Medical Spa today. Laser hair removal is an attractive option for many people who are tired of shaving, have excess hair or are sensitive to razors. Learn about our laser hair removal options today! You’ve been working extremely hard at dieting and exercising. However, you’re not losing weight. Don’t lose hope. Not everyone is able to achieve an ideal body with just dieting and exercise. Did you know that just taking Benadryl regularly could cause you to gain 10 extra pounds per year? Medical weight Loss is a different approach to losing weight versus just diet and exercise. We determine why you aren’t losing weight or how you can lose weight effectively. Did you know that the following conditions could be holding you back from losing weight? Call the York Medical Spa near Stonybrook, PA. We’re your anti-aging and skin care professionals!